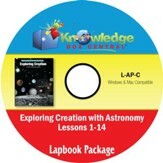 Q: I was wondering if I buy the text book and the notebooking journal, if I need to invest in the lab kit as well. Thanks! 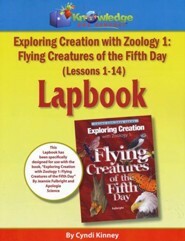 The lab kit contains all the items needed to complete the activities in the Zoology 1 text. 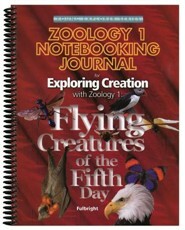 You can see a list of the contents under Contents (PDF) at stock #WW697400, Apologia Zoology 1 Lab Kit. If these are items you already have, you would not need the lab kit. 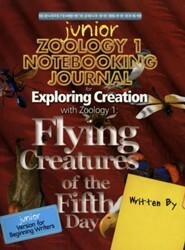 The publisher recommends doing the Zoology books in order because there are terms defined in Book 1 that are used in Book 2, and terms defined in Book 2 that are used in Book 3. However, if a parent has a general knowledge of life science and you do the Zoology books out of order, the parent can just explain those terms as they are encountered. Q: Is there a teacher's book for this (with answers to questions) or a test book to give student's tests? 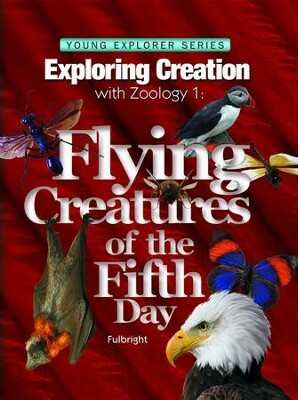 Books in the Apologia Elementary series do not require teacher's guides or tests. These books are based on the philosophy that children learn by engaging in activities related to the subject matter. No testing is done until the children enter into higher level sciences. Answers to the in-text questions are included at the back of the book. Q: if we do the journaling notebook along with the textbook, do we really need the lapbooking products too? 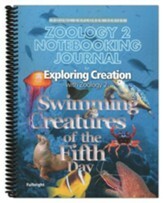 No, the lapbooks are an additional supplement, like the notebooking journal, that allow the student to review the lessons in a more artistic venue. 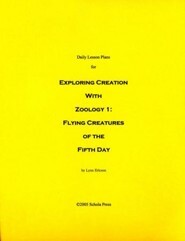 I'm the author/artist and I want to review Flying Creatures of the Fifth Day: Exploring Creation with Zoology 1.